Operated by Famous Players, this theatre opened by 1927 and closed in 1969 and demolished in 1978. My mother loved the movies and I remember being taken to the Capitol at around 4 years of age to see “Snow White and the Seven Dwarfs.” We were sitting in the balcony, a location my mother preferred because you never had a head in front of you to block the view. Not to mention that the theatre looked spectacular from that vantage point. The color scheme then consisted of various shades of pastel blues with ivory accents on the ornamental plaster work. This changed in 1955 when the theatre underwent an extensive renovation. The revised color scheme emphasized the warmer end of the spectrum and again with ivory accents. The new seats in the downstairs section were the pushback type so that when someone wanted to get past you, you didn’t have to get up. 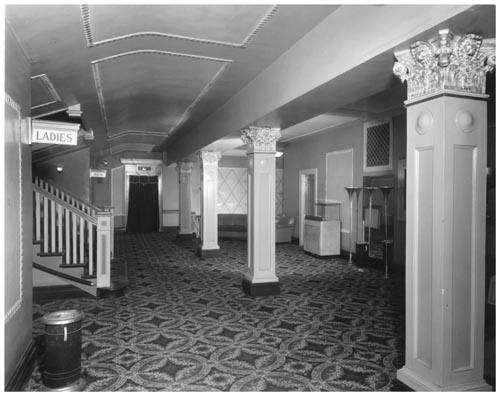 The updated theatre featured a new chandelier in the balcony, a candy counter was installed on the ground floor, the entire theatre was re-carpeted, the marquee was replaced, new curtains graced the stage and the place was finally air-conditioned. Although this feature didn’t work when the theatre had its grand re-opening. The place was packed and it was really uncomfortable inside. Stereophonic sound made its debut in Welland when CinemaScope was installed in the winter of 1954. The Capitol was always first with every new innovation. In 1953 the theatre hosted city’s first showing of a 3-D film. And contrary to what we’ve read read in the press recently, no one in the early 50’s watched three dimensional films through red and blue glasses. I remember seeing Welland’s first 3-D movie “House of Wax” the day the Queen was crowned. The matinee that day was jammed with every kid in the city. And you should have heard the screams when one of the actors threw a chair and it, shockingly, flew right out of the screen at us. The longest running movie ever shown at the Capitol was “The Ten Commandments” in 1956. It ran for 3 full weeks in an era when most films in Welland played for only 3 days. On the opening night of “Ten Commandments,” the 1200 theatre was sold out a half hour before showtime. On thing I forgot to mention is that the Capitol had a stage and an orchestra pit. And being located in the middle of the Niagara Peninsula, would have made a great performing arts centre. Unfortunately, this theatre’s status should be changed from closed to demolished. 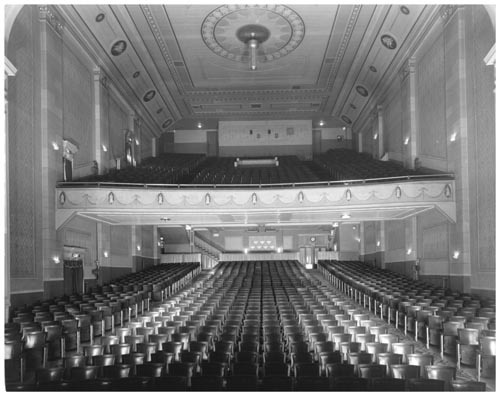 The Capitol Theatre was in operation by 1927, when this photo was taken. Old Photos show that the Capitol was across the street from the Dexter Hotel, which is still standing at 67-69 E.Main Street, so the address of the Capitol was most likely 66 or 68 E. Main Street. Early `50s photo added via Mike Jolin. 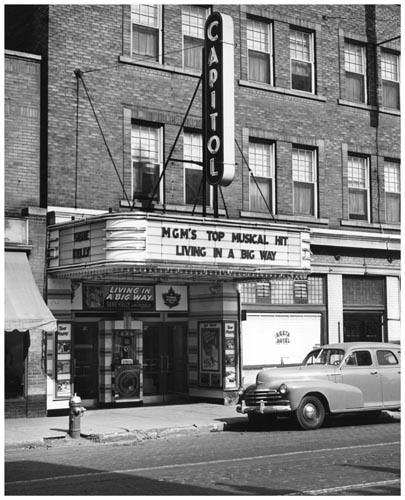 Capitol Theatre in the center, darker marquee on the taller building.